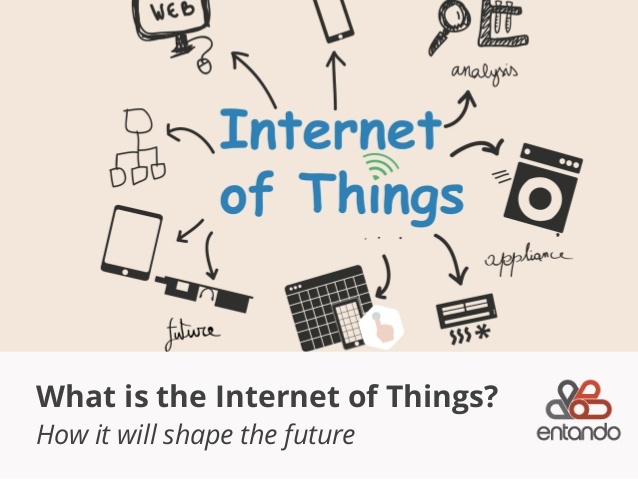 What Is Internet of Things Definition? Internet of Things (IoT) is a technology in which every day objects form a Internet network through which they can communicate with each other. Thus leaving behind human-to-human or human-to-computer interaction. It ensures the connectivity to physical objects rather than traditional connectivity devices like laptop, desktop and mobiles. Are you scratching your head? Don’t you know what is IoT? Why is it getting popular? Then, you are fortunate to be here. Why because, this post is going to be a deep intro to the enchanting world of IoT. IoT is simply Internet of Things. It is the modern technology of giving connectivity to physical objects. Every device in IoT must have an identity, mostly an IP address. We can enjoy a more advanced way of living by doing so. Just think, you can water the plants in your garden by simply sitting in your house. Wow, how awesome will that be? With IoT, this will be a walk in the park. The idea of IoT has an age of about 35 years. But if you search online for the history of IoT, you will get some results saying only 16 years of age. How is it possible? Simply, because the word IoT was first used in 1999. Before 1999, IoT was a nameless teenager. Yeah, you heard it right. When Kevin Ashton (Executive Director and co- founder of MIT Auto- ID center) first mentioned this, the idea had only 19 years of age. 1980’s was the childhood years of this so- called Internet of Things. It was in those years, the first appliance having connectivity was found. It was a coke machine. Programmers at Carnie Melon University developed a setup to know the status of the machine. Using it, they could be able to whether there were bottles in the machine or not. This was a real leap ever in the history of Internet. Even Vinton Cerf didn’t expect such a technology. What is Internet of Things in detail? Now you know a brief history of IoT. Then, it is time to sink into a short explanation of it. Here we go. IoT was found to make our life easier. A thing which is meant to monitor our heartbeats uses this technology. Some modern cars use the artificial intelligence technology to notify the driver soon after the tire pressure becomes low. If you want to monitor your infant while working in your house, IoT comes to the rescue. There are bands and chains available which works through wireless technology. Actually, Internet of Things is a Machine to Machine communication. We use one machine at the spot and another one to analyze the first. All the devices working under the web of IoT have a unique ID or Internet Protocol (IP) address. Do you ever think about a situation when all the IP addresses will be used? Fortunately, IPv6 helps us to exclude this situation. Steve Leibson (an employer at Computer History Museum) once said that we have sufficient number of IP addresses for giving to each and every atom on the earth. Even after giving it, we still have a number of them, sufficient for another four earth. There are numerous ways to use IoT in our daily life. Here I am briefly saying about some of them. Maybe you have to monitor the quality of your environment by doing an analysis of the quality of drinking water, the calculation of pollution rate of air, early earthquake detection, early forest fire recognition and such other things. You can do it remotely with the help of IoT. It will be great to get info about the traffic jam in a road you are going to enter, right? It will be an ice in the cake if we get a notification of parking space around our car. Don’t rack your brain anymore. Here also, IoT can do wonders. We can enhance agriculture with the help of Internet of Things. It is even possible to do farming by sitting in your room. Selective irrigation, analysis of soil to find out lacking minerals and many other actions can be carried out easily with IoT. We can analyze energy and water usage. It is also possible to control devices via any of our portable device which has Internet. Just think about a situation in which you forgot to switch-off A/C before leaving your home. In that case, you can switchit off using your mobile phone. Guess what helps here? It is nothing other than IoT. Internet of Things can also help us in upgrading our home and office security. With the help of Smart door bells you can check who is outside of your home or office door without opening it. You can even respond him while sitting. These are just some Internet of Things examples, you can find many in your day to day life. That’s all, I have to say now. The upcoming years will be golden years for IoT. There will be about 50 million IoT devices by 2020. Subscribe us on social media ( IoT Facebook Page, IoT Pinterest Page and IoT Twitter Page ) to stay tuned with latest happening in Internet of Things Industy. You can also subscribe to us via newsletter to catch daily updates in your inbox.